It looks like the sun is not shining brighter for the mining industry as the government led by no other than the President himself, rants against mining companies compelling them to plant trees. Later on, this was followed by the Secretary of the Department of Environment and Natural Resources who issued an administrative order requiring progressive rehabilitation and mining limits to make mine sites not appear destructive to the public. It looks like these are indications that the ban on open pit mines and moratorium on the opening of new mines will be lifted soon. 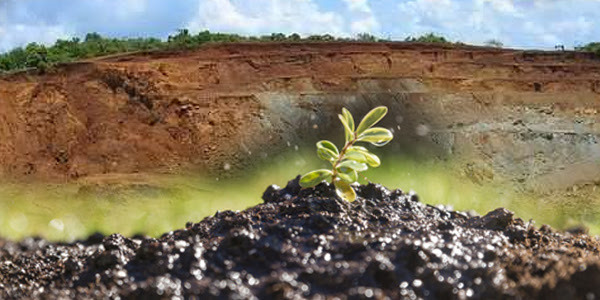 Compelling mining companies to plant trees forms part of the rehabilitation process required to at least compensate with projected environmental damages associated to their mining activities. But planting trees and greening the mine site will not end these various issues surrounding mining. Instead, it is a response that overlooks violations of human rights committed by mining companies including the displacements, internal conflicts in the communities, loss of livelihood, as well as the altered if not damaged ecosystem which will never be restored. On the other hand, an administrative order requiring progressive rehabilitation with the imposition of mining limits is a welcome action. But the intent of the policy raises questions as consultation on the matter was limited to the mining industry and without engagement with the affected communities. In addition, the imposition of new mining limits does seem positive at a glance but then again, the crux of the matter is in the approved Mineral Production Sharing Agreement (MPSA) which remains effective without any changes. Requiring mining companies to mine specific areas and then requiring planting trees immediately only gives miners an arrow slit on the wall. Greening the mines are good for projection to minimize public outrage against sites of brown arid lands due to mining. But at the end of the day, this will still not address the fact that communities are negatively affected, their livelihoods lost; their water sources polluted, and the topographical and biodiversity makeup of their area is forever altered. Why not impose a total moratorium on mining until a more humane and sound mining policy is formulated? The Alternative Minerals Management Bill (AMMB) is a good option. To totally ban mining and declare specific areas as no-go zones to mining is a miracle being prayed over for many years by mining-affected communities and environmental advocates. Will this be likely to happen? Will our President and DENR Secretary hear our prayer? Partner communities and fellow environment advocates, let’s brace ourselves and pray that they are sincere and will be true to their words. Let us be prepared though and pray not be tricked that it can become a ploy. Let’s look beyond the “Greening the Mines! We push for Genuine Rehabilitation, where people are part of drawing up the plan and where mining companies give reparations and pay for the damages they have done to nature and the people of the community.